Oooo! So bright and colorful, with jungle foliage and animals. 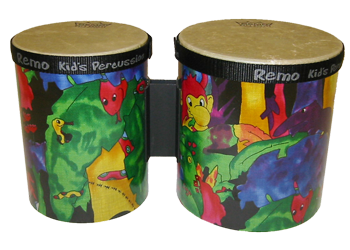 These bongos are very engaging for young drummers. Age-rating: 3+ years. Everybody's favorite! 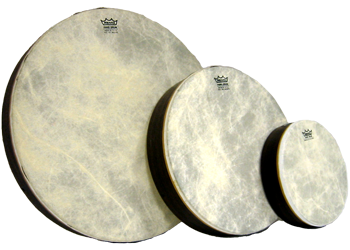 Durable 6" diameter drum that children can play as hard as they want without sounding too loud. Perfect for indoor use. Double-headed safety mallet included. 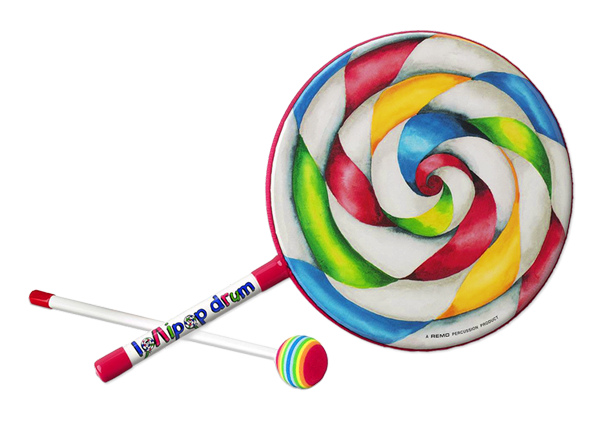 A brightly colored 10" hand drum on a stick with huge appeal for children. 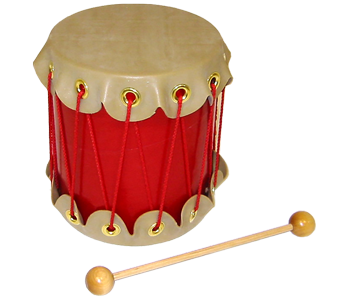 Small handle and light weight make it easy to play even for small children. Lollipop drums are easy to play. The small handle makes it easy to hold in little hands and it produces a rich, deep sound. 1" x 10". Includes beater. Safe, very durable, and easy-to-clean. Recommended for ages 3 and up.